The Elder Scrolls: Legends | The all-new Legends experience is here! The all-new Legends experience is here! The wait is over! 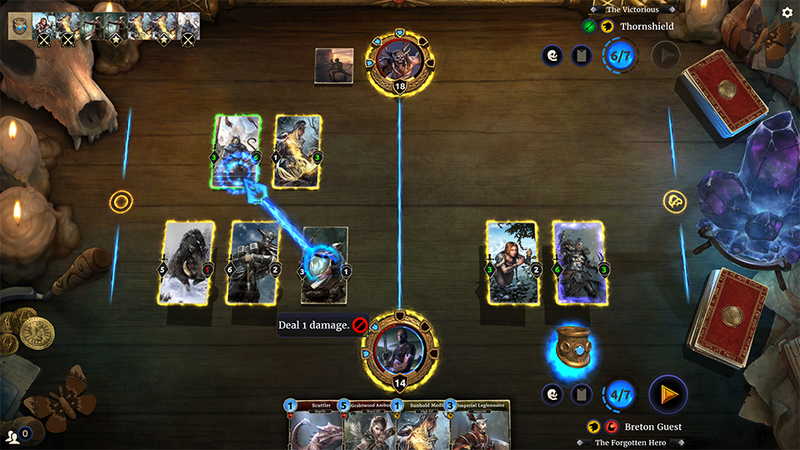 The brand-new version of The Elder Scrolls: Legends is now live for PC and mobile devices. 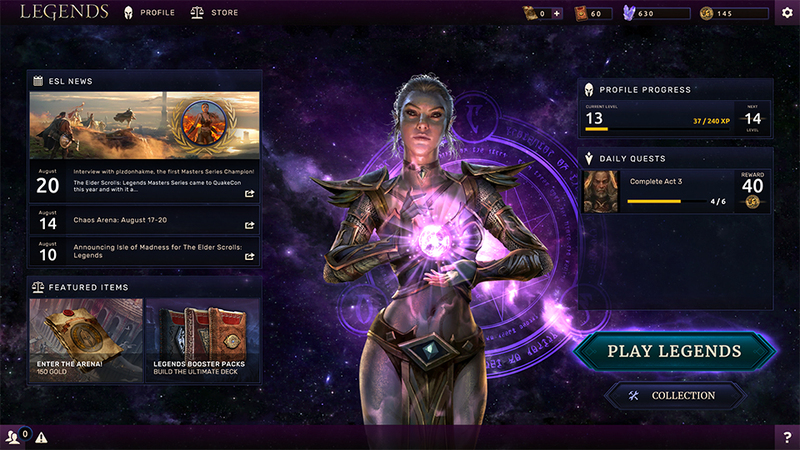 The biggest and most obvious change to come with the new Legends experience is a complete makeover of the user interface. From the top menu to a match in progress, everything’s been refreshed to make navigating the game more enjoyable and eye-pleasing. Every in-game animation, from the call to arms summoned by Imperial Reinforcements to the chilling devastation of Ice Storm, has been reworked to complement the new look of Legends as well as maintain a steady pace of play. Many changes have been made under the hood as well to ensure that Legends runs as smoothly and quickly as ever. Spend less time waiting and more time playing! The UI and board may be getting a new coat of paint, but that doesn’t mean we left out the most important part of the game – the cards! 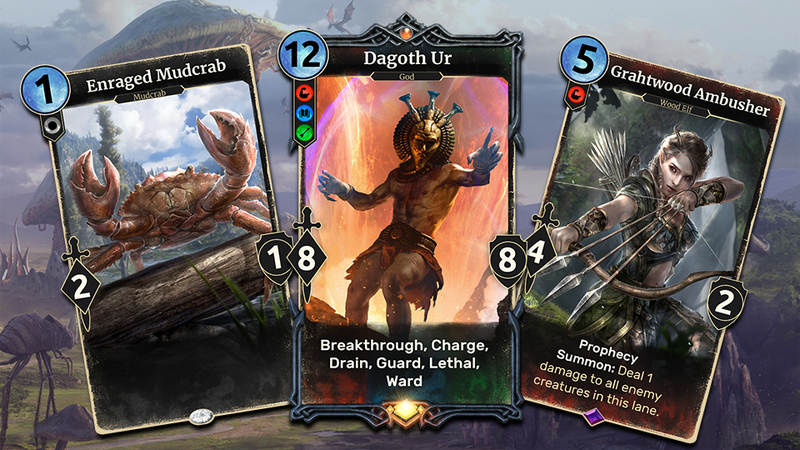 The card frames in Legends are getting a unique new look, along with refreshed animations for their premium versions. The opening tutorial has been tweaked to better serve new players, introducing them to Legends’ unique gameplay features quickly and more effectively! We’d like to thank our players for their patience and continued support of Legends during this transition period. For more details on this update, to include common questions and known issues, we invite you to take a look at our FAQ. Whether you’re a card-slinging veteran or new to the scene, there’s never been a better time than now to download The Elder Scrolls: Legends!